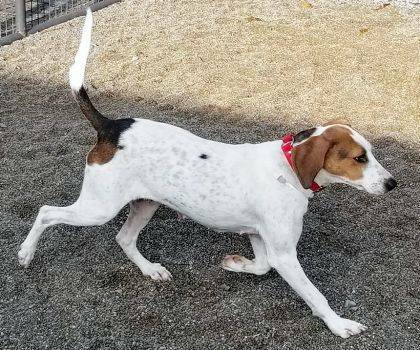 One-year-old Holly Berry, an English Coonhound, resides at Barely Used Pets and anxiously awaits new owners to adopt her and take her home. Mango has spent three of her 4 years at PAWS Animal Shelter and is quite ready for a home and family of her own. Mango has been a resident at Paws for 3 years, She is 4 years old, also fully vetted, feline leukemia negative and spayed. She loves attention and a good brushing and naps on her pillow bed. 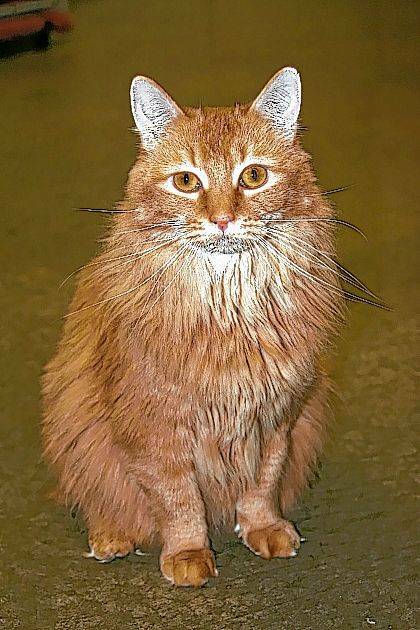 Please come and meet Mango at Paws Urbana, 1535 W. U.S. Route 36, Urbana (937-653-6233). Hours of operation are noon-5 p.m. Tuesdays thru Fridays; noon-4 p.m. Saturdays. My name is Holly Berry and I am a year-old English Coonhound girl. I am a little on the small side, weighing about 45 pounds. I have already been spayed, up to date on shots, had my flea treatment and worming. I am also heartworm negative. They say I appear to be house trained and I walk great on a leash. I love being around other dogs and kids. My adoption fee is $150 which includes my 2018 dog tags. Won’t you please come and see me and maybe we can do some leash walking! Then maybe, just maybe you can find a place in your heart and your home for a young girl like me. I promise to do my best to be the best girl you ever had! Please help me find happiness and be my new forever home! https://www.burgtelegram.com/wp-content/uploads/sites/17/2018/03/web1_BarelyWeb.jpgOne-year-old Holly Berry, an English Coonhound, resides at Barely Used Pets and anxiously awaits new owners to adopt her and take her home. https://www.burgtelegram.com/wp-content/uploads/sites/17/2018/03/web1_PAWSWeb.jpgMango has spent three of her 4 years at PAWS Animal Shelter and is quite ready for a home and family of her own.